The Prodigy was the third of a trilogy of films each starring one of my neighbours three sons. 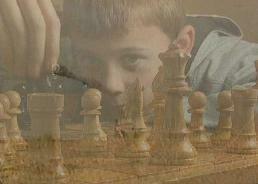 Sam, who was an entrepreneurial 12 year old at the time, featured in a documentary called Pendragon about a small business he had established turning pens on a lathe in his dads workshop. 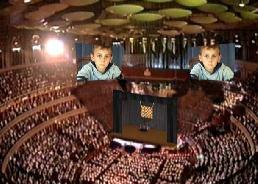 Ten year old William starred in Escapade, a film based on the drawings of EM Escher calling into question our perception of dimensions. The idea behind The Prodigy was to stand the relationship between the boys on its head. In life, 8 year old Tom clutched onto the coat-tails of his brothers. 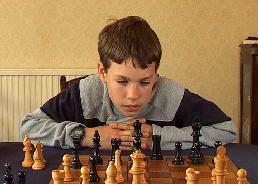 In the film he is an unrecognized genius, who eventually becomes World Chess Champion. The film was great fun to make. 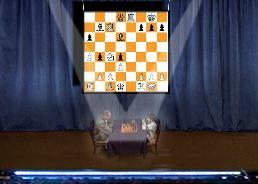 It posed the technical challenge of trying to set the final chess game in the Albert Hall  courtesy of Adobe After Effects. But what was most interesting was to attempt to get into the mind of a small boy, partly by trying to recall how the world looked 50 years ago. The Prodigy won an International Medallion at BIAFF 2004 and was one of the UK offical entries to UNICA 2004, Germany.